If The Farmer’s Almanac can be believed, we are in for a tough winter this year in New Jersey. The venerable publication is calling for weather like we saw last March – colder than normal with widespread snow showers and blustery winds. Treat yourself and invest in good footwear such as insulated boots with good rubber treads. Try ice clamps or cleats that attach directly to your boots for greater traction on icy surfaces. Look for black ice, especially after some melting has occurred. Watch for slippery floors where snow may have been tracked in. When walking on slippery surfaces, take shorter and slower steps. Outdoor staircases can ice up before other surfaces, so always use the handrail. When roads and sidewalks are icy, walk on adjacent grassy areas. The internet is full of “comical” videos of people slipping and falling on icy conditions, but it’s no joke. Winter slip and falls can cause severe and life-threatening injuries. A traumatic brain injury (TBI) or serious fracture can permanently affect your life. If snow and ice or indoor spills were not properly removed, your fall may have been caused by negligence. Property owners and managers have a duty to ensure that their premises are safe for members of the public. This includes clearing thoroughfares and posting warning signs of unsafe conditions. 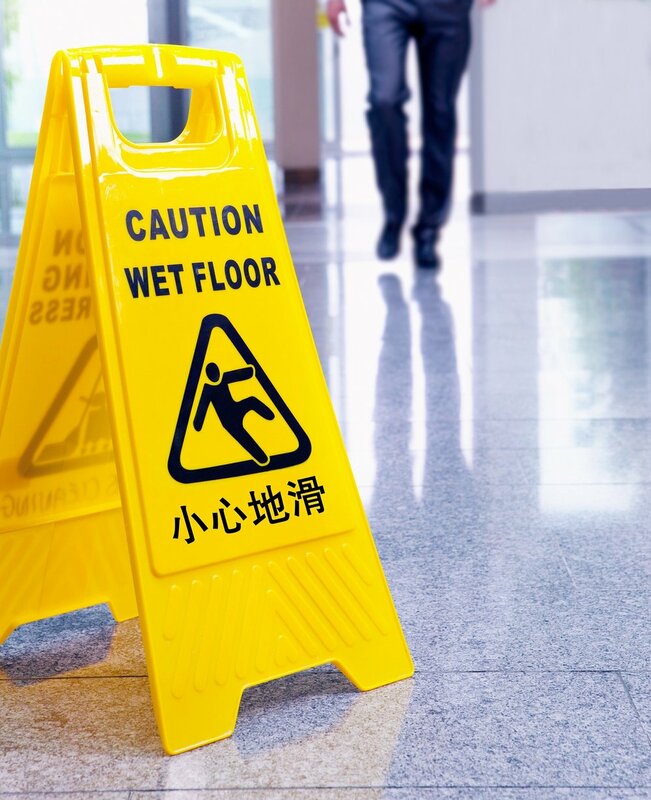 Please contact us for an evaluation of your slip and fall case to determine who is at fault.